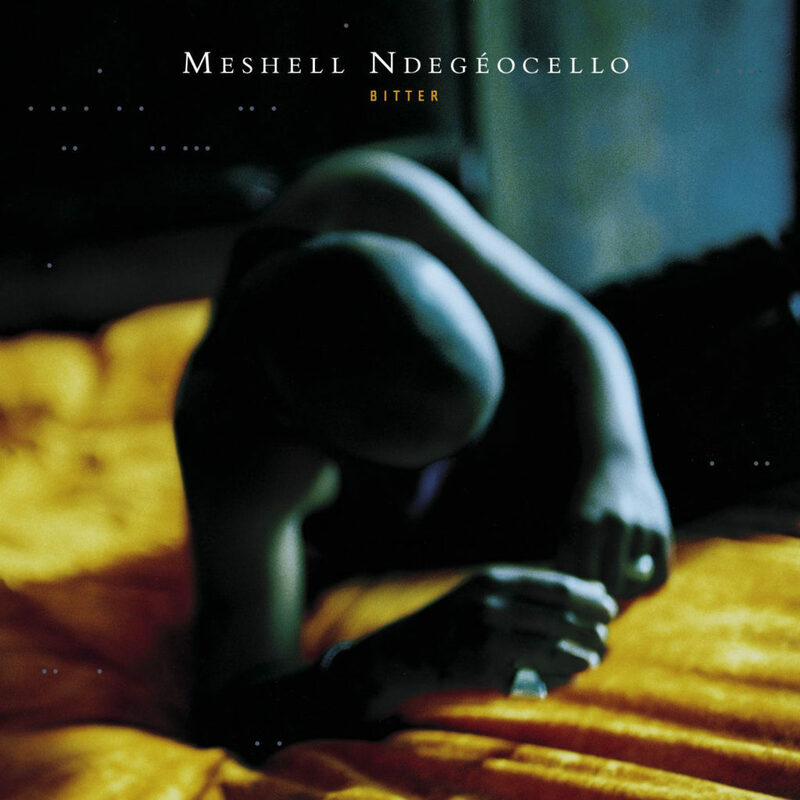 THE SCENE: In 1996 singer/bassist/composer MeShell Ndegéocello released her second recording, the funky and soulful Peace Beyond Passion. Adding to her repertoire of romance tunes were songs about racism, religion and homophobia — just enough food for thought for commercial radio to drop her from playlists. Three years later she returned with all-new reasons for radio silence, the wounded Bitter. Raw as a salted wound, Bitter is the fresh grave of a dead romance; the sounds that come out of your mouth after you’re all cried out. Gone are the rubbery bass lines and synthetic articulations, replaced with acoustic instruments played at speed of melting ice. Her voice remains a smoky hush but now blackened with ash. Pleading with vulnerability, her empathic grief extends to every song, every tone, but never becoming pitiful. In the measured “Fool of Me”, her anguish is so deep perhaps the brushed drums are the only thing keeping her from falling to pieces. Even the instrumentals offer no solace. The casket-black beats of “Adam” anchor the weeping violins, while the plucked strings of “Eve” sound lost in a void of displacement. The faster tracks sparkle with restrained tension. The pastoral regalness of “Satisfy” is a woodsy, forest dream. “Wasted Time” is a sparse skeleton dance of the burnt-out, with a tasty dehydrated slide guitar. Ndegéocello also reinterprets Jimi Hendrix’s “May This Be Love” as a quasi-East Indian raga that hovers and darts into space music. Within the confines of the album this zigzag of styles is intoxicating, but outside the album…. THE FALLOUT: Named “Album of the Year” by many journalists, Bitter infuriated fans who wanted the funkier MeShell back, and it tanked. Ndegéocello revisited her approach again in 2005 with the release of the jazzy and challenging The Spirit Music Jamia: Dance Of The Infidel. A fierce emotional letter-bomb, Bitter triumphantly reconstructs the particles of heartbreak into a new, hopeful organism. NEXT WEEK: Good stuff from Bad Brains.